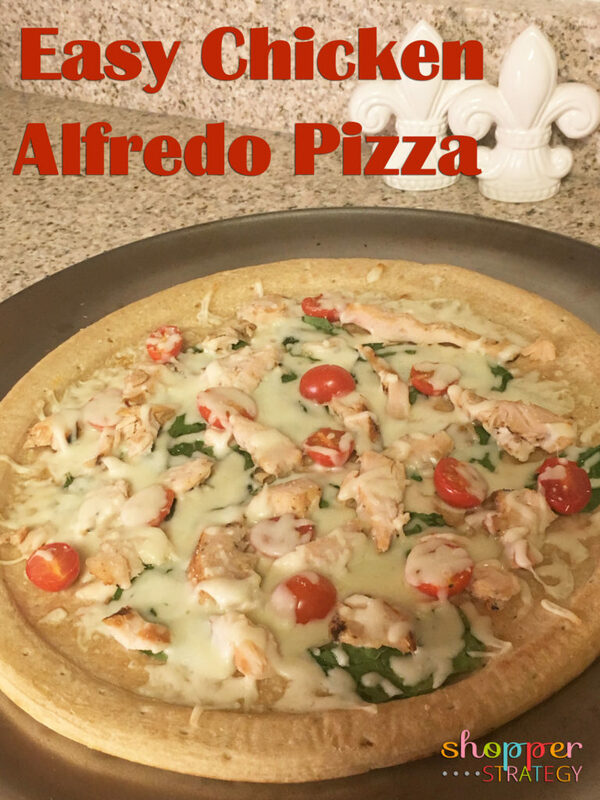 We love pizza night at our house but I get tired of the kids’ same old flavor choices all the time so I thought I’d mix it up a little with this Spinach and Chicken Alfredo Pizza. Sometimes the kids can be picky and I wasn’t sure if some of them would even try a white sauce pizza, but it turned out to be a huge hit with everyone! Anytime we get a winning combination that’s both delicious and a crowd pleaser I have to add the recipe to the arsenal, but when that recipe is also as quick and simple to make as this one it goes quickly to the top of the “do over soon” list! All you need for this tasty recipe are a few simple ingredients like fresh spinach, chicken, tomatoes, RAGÚ® Family Size Classic Alfredo Pasta Sauce and a pre-packaged pizza crust. Since the sauce and crust are all ready to go you simply add your toppings, bake for a few minutes, and dinner is served! 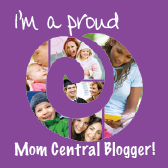 It’s a fabulous meal idea for a busy week night and so easy that the kids are always more than willing to help out. Of course we have spaghetti night pretty regularly so I always stock up on RAGÚ sauces when they’re on sale, but we’ll be serving this pizza often so I plan to also stock up on RAGÚ Classic Alfredo Sauce during the RAGÚ® BOGO event at Publix NOW through Wednesday, October 11th. 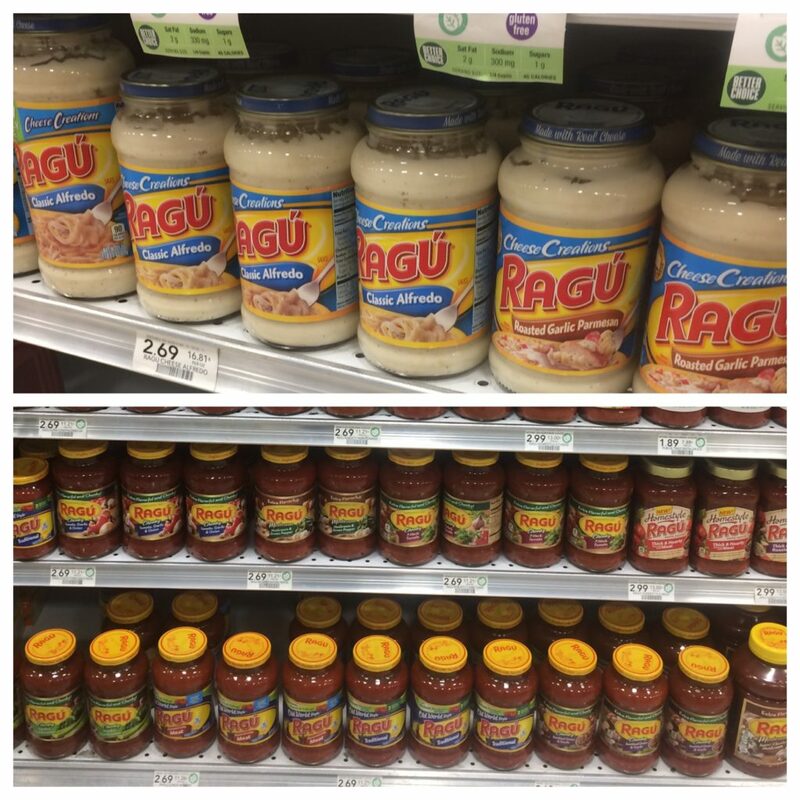 Go ahead and add RAGÚ sauces to your Publix list this week while they’re buy one get one! My kids and I love RAGÚ Classic Alfredo Pasta Sauce because it’s thick and creamy, and it’s packed with Parmesan and Romano cheeses. It is made with real cheese and fresh cream so it bursts with cheese flavor and we like to get creative and use it in a variety of dishes, including Chicken Alfredo. It is available in both 16 oz. and the larger 21.5 oz. family size jars. 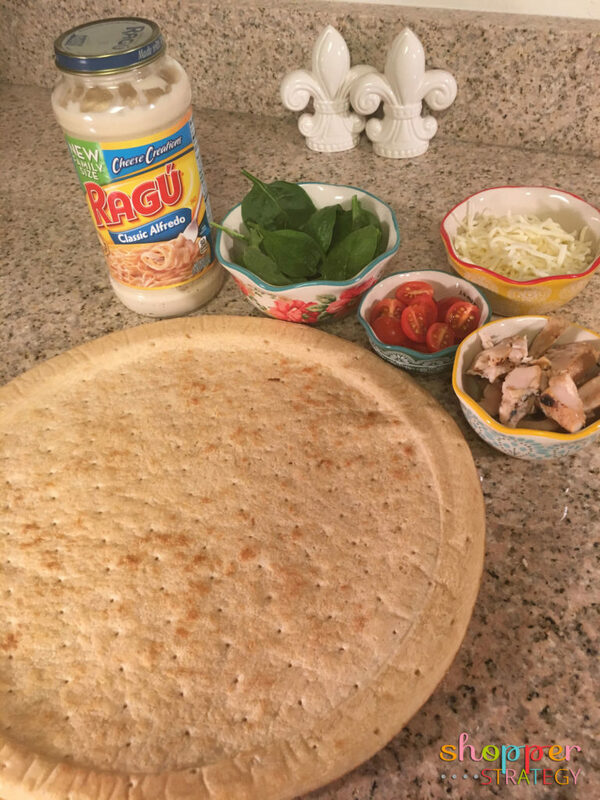 Spread RAGÚ® Classic Alfredo Pasta Sauce onto pre-cooked pizza crust with a spoon. 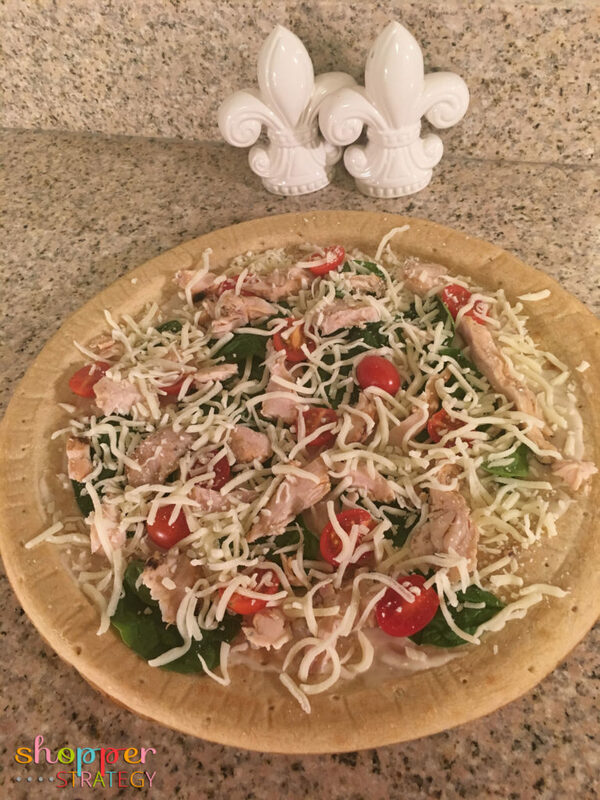 Top pizza crust with cooked chicken, fresh spinach and tomato halves. Sprinkle shredded mozzarella cheese over toppings. Bake at 425 degrees for 10 to 12 minutes or until cheese is melted, or follow directions on pizza crust packaging.